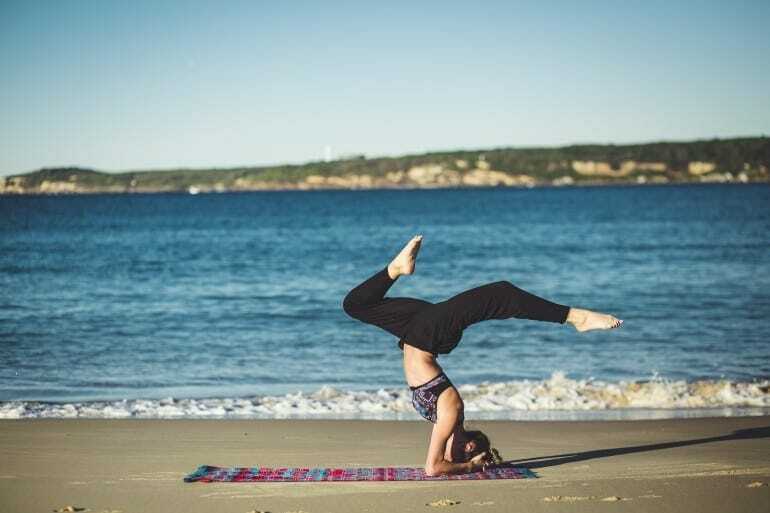 Yoga is said to date back to the sixth century BCE, but it has never been more popular than it is today. Yoga has made it to mainstream society, becoming a mental and physical source of strength and rejuvenation. There are various forms of yoga practices, there is hatha, ashtanga and vinyasa, to name a few. Each practice has a slightly different focus, but they are all focused on the poses and on the breath as a core of the practice. As yoga’s popularity has skyrocketed in recent years, so has the desire to travel in order to practice. There is something to be said about following this ancient discipline in an environment that is more in tune with nature and closer geographically to the origin of the practice. 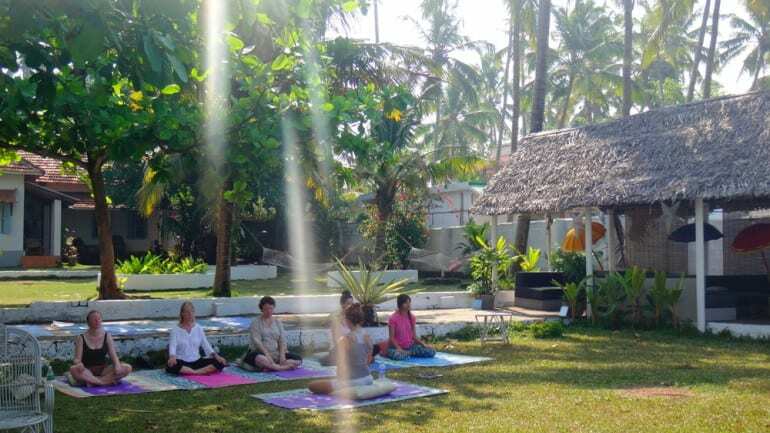 h is located in Kerala, Southern India, you will find a place called Soul & Surf, a resort for those interested in practicing while also enjoying the open ocean views and, if you are so inclined, surf the incredible waves that the beach has to offer. With the backdrop of the Himalayan mountains, Nepal is spiritual just in its beauty. Practicing yoga in such a place is as fulfilling as it can get. There are yoga and trekking resorts in places like Pokhara and Kathmandu. There is a chosen balance between exploring the stunning country around you, while beginning and ending your day in a meaningful yoga practice. Thailand is known for its incredible beaches, and the epic full moon parties. However, yoga is very much a part of the local custom. There are yoga centers all over Thailand, in Chiang Mai, Pai, and Koh Tao, to name a few. Thailand has maintained its authentic flavor, in food and in tradition. Although it has become extremely touristy in recent years, the yoga resorts are vastly more calm due to the nature of the practice. Costa Rica is a tropical paradise. One needs to go very little to get the natural inspiration for their daily practice. There are massive jungles, large plantations and beaches that are untouched. 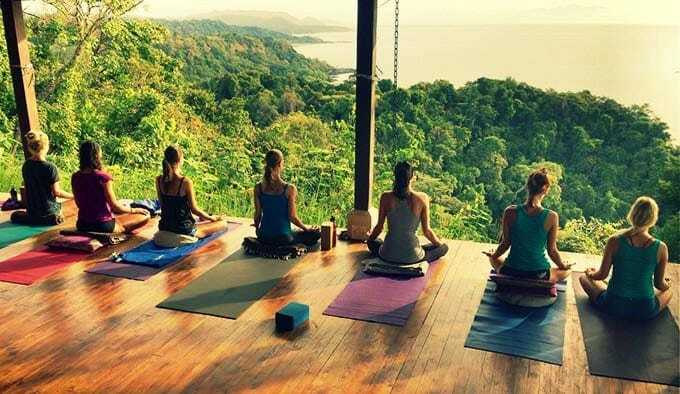 There is a trend of pop-up yoga retreats by teachers from the United States, so if you are interested in practicing with one in a gorgeous place like Costa Rica, keep your eyes and ears out for such a chance, you won’t regret it. After Elizabeth Gilbert published Eat, Pray, Love, there was a massive wave of people coming to Indonesia for yoga and meditation retreats. The trend existed much earlier than the book, but the influx was astounding. Needless to say, Bali is an absolutely beautiful place to go in general, but to practice yoga specifically. The green surroundings, the combination of animal sounds and complete silence are a perfect setting for any form of yoga practice. There are several studios to practice yoga in Ubod and in Canggu. There is a very large yogi community in Bali, and one that is very welcoming of those wanting to join.